Congratulations Lowell Orange of Oxenford QLD, the winner of our lucky member draw competition. 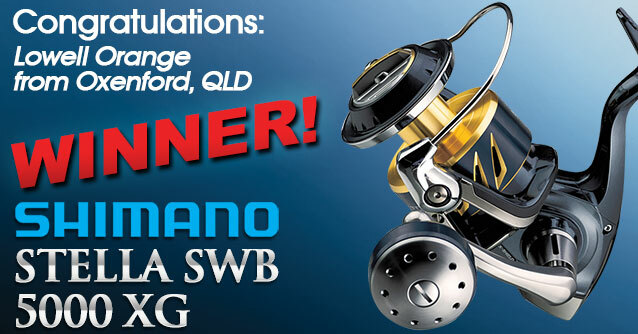 Lowell’s name was drawn from over 7000 contestants and was rewarded for his luck with a brand new Shimano Stella 5000SWB XG valued at $1049. Lowell was very excited to hear about his win. He said that once he receives his reel in the mail he will send us a photo with it. Lowell currently has two reels but apparently this is by far the best of the lot. Lately he has been catching a few bream and nice flathead up to 60cm and can’t wait to put the new reel to use on a few more. Once again, congratulations to Lowell on his win. We would like to take this opportunity to extend a big thank you and welcome to all new members that joined our online fishing community during the campaign. We look forward to providing you with content to further your fishing knowledge and to provide you with the most advanced and modern fishing tournaments to compete in.